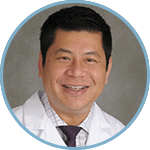 Shang Loh, MD, is a vascular surgeon at Stony Brook University Hospital. With several years of experience now in practice, Dr. Loh shares his advice for residents and fellows. What can residents and fellows do to prepare for full-time practice as they’re finishing their programs? The biggest thing that no one teaches you is the business side of medicine. I think everyone gets similar advice towards the end of their training: make sure you scrub cases that round out your experience, and make sure you’re happy with where you want to be with regard to cases you want to have exposure to. Then you get out and you realize you don’t know how to bill for the cases you do and what criteria are necessary to meeting different billing levels. You have no idea how you’re paid, have no idea whether you are profitable or not, and often whether you’re even collecting for the cases you billed. Most graduates I meet are fully trained clinically. So from that perspective, what I advise all the residents and fellows graduating from our institution to do is to attend the SVS coding and billing course and one meeting focusing on the practice of medicine. Fundamentally, you have to understand how the system works and it is far more complicated than I ever imagined it to be. Once you understand that, a lot of other things start to make sense. It helps guide how you plan cases and how to do the right thing for the patient, because you understand what they’re going to get charged. What do you wish you would have done differently during your training? As I look back, fellowship was a very protected time. If your fellowship program allows you to, travel to get experiences in other parts of the country and internationally. This allows you to interact with people who have different perspectives and different ways of doing things. The international exposure was an area I wish I had more access to as that was the most eye opening experience for me. If you start practice in the academic setting, you may have opportunities to travel because you’re a bit more protected with your time. But in private practice, that may be harder to do. With regard to the business side of things, I wish I would have started exploring and learning this area earlier in my training. I feel that would have made my transition to practice that much smoother. What advice do you have for trainees who may only have experience with a few devices? It’s impossible to be an expert at every device. In general, you’ll come out fully trained on the devices that are used most in your institution. The sheer number of devices available is incredible, and as an attending, you’re going to get approached by a new person every month with a new device they want to sell you. If you go into it thinking that you’ll be an expert on every device, you’re going to be disappointed. It’s important before you leave training to try to have one or two exposures to devices and techniques you don’t use often or at all. If there’s an attending that uses a particular device which you are unfamiliar with, or if there’s a place where you’re able to choose the devices used and the attending is willing to accommodate you, go for it, because now is the time while you are still protected. Take advantage of the courses industry offers to go out and talk to industry experts and physician leaders about the devices that you may be less familiar with. Some of these opportunities may include hands-on exposure and the use of animal labs which can be very beneficial. Just remember that these opportunities are an initial exposure, so when a case comes up, you’ll want to have someone with more experience there to guide you through your initial cases. However, it will not be the first time you’ve ever laid eyes on the device. When I started, my chief sat down with me and told me: “I’m always here to back you up.” I think that’s a very important conversation to have early on, even if it’s an implied understanding. Not every program or every person necessarily views it the same way. But it’s important to set expectations and say, “Look, here are a few areas where I’m not as confident. If this should happen in the middle of the night, can I call you? Will you come in?” Utilizing the experience of your senior partners to gain more experience in devices you are less familiar with is a smart move. Obviously your first year in practice is critically important for reputation and outcomes. Most chiefs will be 100% supportive. But I think not being afraid to call for help in those situations is a key to good outcomes and peace of mind for yourself—and also best outcomes for the patient. Struggling through on your own in those most dangerous of cases is not a good idea. Having someone senior with experience really can take the pressure off in those cases. What would you encourage trainees to be thinking about in their first few years of practice as they’re establishing? I would break that down into clinical and academic areas. From a clinical side, after you get your feet settled, you’ve got your rhythm, and you’ve figured out the ins and outs of the hospital, begin exploring other devices that you may be interested in learning how to use. Obviously, you’ll be very familiar with what you were trained in. But now’s the time to kind of take a look around. You may find that you like something better than your mentors did, and that’s ok.
Don’t commit or be heavily committed to any one device or technique until you’ve been able to really experience it from the attending perspective. It’s very different than in fellowship because now everyone in the room is looking at you for direction. Exploring devices and techniques in your early years allows you to make a very informed decision about how you would like your practice and device selection to shape up. Be willing to experiment early while you have some protection, because it can lead to better decision-making down the road. The most important clinical lesson, however, is to not be a cowboy. Your patient outcomes in the first few years are critically important in establishing your reputation. You do not want to be seen as reckless or cavalier. In terms of the academic side, the advice is always the same: it’s very important is get involved, do projects, and publish early. Because the first year is so overwhelming, many tend to drop that quickly. If you couple that with other personal factors, like you get married or have kids, academic productivity can quickly drop to zero. Once you stop producing academically for more than a couple of years, it gets very, very hard to get back into it. Stay engaged with research, publishing and going to the meetings. In addition, keep your connections with your colleagues active. Keep nurturing those connections, even if it’s nothing more than going to the meeting and saying hi to people so they remember you. You never know where those relationships might benefit you down the road. What advice can you share about maintaining a healthy work-life balance? The best advice is to select your job carefully. There’s a huge spectrum of opportunities, so if you prioritize factors that are important to you when selecting a job, you will be less likely to choose a job that doesn’t fit. There are jobs that will work you to the bone for good pay, jobs that let you take it easy for less pay, and everything in between. Generally speaking, the more you put into the work, the more there will be rewards, financially and otherwise. If you’re looking for being able to go speak on the podium at meetings or train residents and fellows, that obviously requires a significant time commitment. For me personally, work-life balance is important. I’m still skewed a little bit heavily towards work, but my wife understood that going in. However, I did keep in mind the fact that I was going to start a family and I could not stay at work 100 hours a week. That’s not sustainable for having a family, so the job that I chose allows me maintain that balance. Definitely don’t forget to consider major personal life changes such as marriage, kids, and those sorts of things. Any other advice for graduating trainees? I think managing expectations is important coming out. A lot of people come out of fellowship having done the most complex cases as they’re finishing. Many think they can tackle everything right out of the gate, quadruple fenestrated endografts or open thoracoabdominal aneurysms and expect these cases to magically show up in their clinics. However, it takes time to earn these referrals and you will more than likely be seeing mostly legs, veins, and fistulas. Realizing this allows you to avoid frustration and avoid becoming angry or upset that these cases are not being referred to you. If these types of cases are what you ultimately want to be doing, then be patient, establish a good reputation, and help your senior partners whenever one of these cases comes up. That effort will eventually be recognized and those cases will then start coming to you as well. Shang Loh is a paid consultant of Cook Medical.